Mushroom wisdom is a guide to shamanic techniques for cultivating practical spirituality. In indigenous contexts, sacred plants are understood to have the power to teach essential knowledge and to bring seekers to states of divine consciousness. Mushroom space is a divine space. A space of spirit, mind, and meaning. A space of beauty and wonder. It is totally other and unknown. Yet, immediately familiar and intimate. Anyone can eat mushrooms and experience the profound mind-manifesting powers of the sacred plant, but actually using them with intent and purpose for spiritual development requires certain techniques. When using mushrooms as spiritual tools, they become plant teachers. Seekers only need learn to listen to how they communicate and how they impart their lessons. What do the mushrooms teach? Primarily, mushrooms teach about the self. They open seekers up to the process of their own mind and their means of reality construction. They teach seekers about who and what they are. When approached as teachers, the mushroom experience, while profoundly joyful, is primarily work. Learning is work. Understanding our true self is work. Understanding the nature of the mind and our construction of reality is work. But it is work with profound rewards. Mushroom Wisdom offers guidance through this potentially difficult and harrowing process. The starting point of any genuine spiritual quest is with the self. When we begin to understand self, then we can begin to know the universe in which we find ourselves. 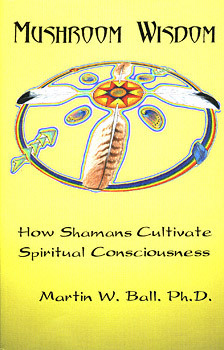 "An excellent guide to the use of sacred mushrooms as tools in the quest for knowledge of the true self."